Non-Repayable Grants are the closest to “free money” that you can get! Every year the federal, state or municipal government will allocate funds for the purpose of helping low and medium income people – that meet certain criteria – with part of the payment to purchase their homes and achieve the home ownership dream! Well, they are free to a certain fashion and they all have some criteria that you must meet in order to receive the grant[s]. With this cash boost, low and mid level income prospective buyers to pass that threshold can effectively fulfill their home ownership dream. I have lots of info on this page "Home Grants" -- I think it will pay your while reading it. Sometimes the government agencies will pool their resources, other times the opportunity will come from just one individual agency. Regardless of the funds origins, they come in two “varieties:” repayable X non-repayable! It is so important that I thought it granted, no pun intended, that each should have its own page so they could be fully understood. You go to the market place and find a home at the price of – as an example - $80,000… And – as an example – you put 5% percent down which is equal to $4,000. Lenders like to see some 20% or more – except FHA backed loans that will be willing to extend credit with a down payment as low as 3.5% - with a catch: you will have to pay mortgage insurance with will increase you monthly payment. Now you apply for the grant, you qualify for it and you receive a certain amount – let’s say it is $12,000. The combined funds now amount to $16,000 as down payment or exactly 20%! With that you certainly will attract multiple lenders willing to give you a mortgage AND better rates, because – as a rule -- lenders aim to have a 20% down payment and you now have that on hand. The home grant will be given to you will take the form of a “silent” 2nd mortgage. a) You do not have to pay interest on it – for the life of the grant! Please see important information “phasing out” period for non-repayable home grants below. Nonetheless it does generate a full blown 2nd mortgage / lien and it will be recorded! If you sell the home before the full vesting period, you may have to pay some or even all of it back – depending on when you sell it. Please do not miss import information to clarify this aspect of the non-payable home grants below. “Non-repayable home grants:” With this type of grant, after a set number of years, the amount that you receive is phased out. And from there on, every year you stay in the house, more and more of it reverts to your name: until it will revert to your name completely. And you will own the entire amount of the grant out right. Some of the non-repayable home grants start phasing out in as soon as three years although most kick off in five to seven years -- each year a little percentage of it starts to transfer to you. In other words, after that scheduled number of years, if you sell you property, part of it will indeed come to your pocket. ...And there will be a certain number of years, stipulated in the terms of the grant, that 100% of the initial amount of the grant will be all yours! Sorry for some redundancy but this is one those things that seem to be good to be true – but, in this case, it is true! Start digging for info in your area and start calling! These are the grants I love and I think that you too would be tickled to death to get a non-repayable home grant! Actually, if you combine them, they not only help you but they also give more confidence to your primary mortgage lender that now there is more than one “partner” backing you up. This is no gimmick! These funds are available in all fifty states – including Hawaii and Alaska AND Puerto Rico and the territories. Please visit my page "Homeownership Programs" to find agencies in your State. Please note that your local real estate agent or mortgage consultant certainly will have information on your area. Please see my page "Grants Examples" if you need additional information to be convinced. There are some grants geared towards persons with disabilities - please see more info about these two topics on my page "Georgia Grants"
No matter where you live you will find similar programs there as well. Grants are generally given out in the form of “subordinate finance” or 2nd Mortgage and otherwise also known as a "lien"
On the portion of your home purchase covered by the grant, the payment is deferred and you do not pay interest either – as long as you do not sell it and for as long as you live in the home: As long as you live in the house AND you do not sell it before the phase out years established in thed terms of the grant. It is fundamental to understand that grants are given to you assuming that what you need it and what you are seeking is a home for the long haul not an opportunity to turn around and convert that “equity” into instant cash. It is also important to understand that – although we are talking about real money -- you will not even see this money – let alone touch it: At closing it will be automatically transferred to the seller. As you could see on phasing out your non-repayable home grant” entry above, even if you are fortunate to receive this kind of grant, it will become yours slowly… and gradually… not all at once. Also please note that all states have many other agencies – please visit my page "Georgia Home Grants" to have some ideas of what might be available in your state. Just face your quest with open mind because you are going to encounter both non-repayable home grants as well as repayable ones. By all means apply for all grants you can find information on -, non-repayable home grants and repayable alike. 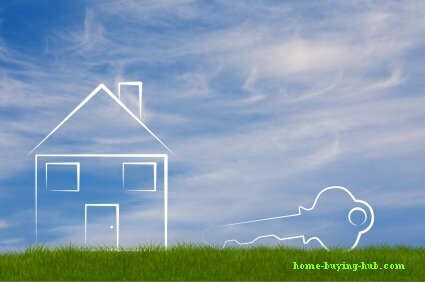 In either way you will get a big boost for your dream of home ownership is just around the corner! On my page “Grants Example” - BUYER #2 got two sizable grants, one for $25,100 and another for $30,000. One was a repayable grant the other was non repayable. The buyer was happy to receive both with no distinction between them. I would glad accept anyone to come to me and give a loan that I can keep it for life …with not interest to be paid! Yes, sir! I would! I am quite sure that you would too! Wouldn’t you? So, my friend, please consider doing what I recommend on my page “Home Grants” e “Home Grants” - start digging information and calling the agencies responsible for giving these grants out! Just a final note: Off course it is a great bust to receive a DPA – it means extra dollars to “your name” that you got because that you are a good citizen and because you did your homework. As you can see on the same page “Grants Examples” e “Grants Examples” because of the combined grants both buyers were able to aspire “a better home” than they would with their own finances alone. I hope I have made you a believer that grant of all sorts – repayable or non-repayable home grants are available near you. If you serve in those targeted professions you may be able to get another edge. However there are many others grants that will be open to everyone… Did I mention that there are grants available to help persons with disability? – Please click her to visit my page “Home Grants” and learn a bit more.